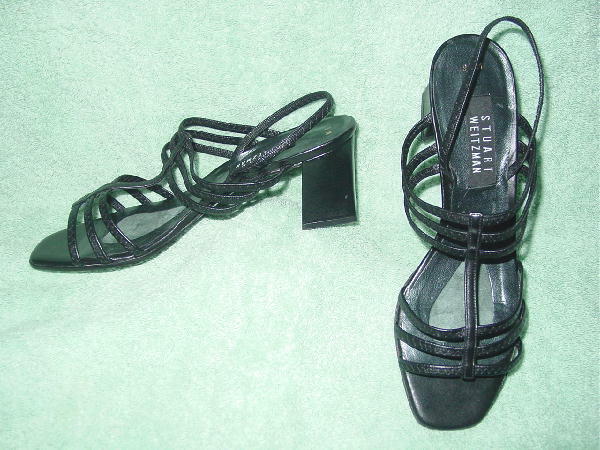 These black leather strappy sandals have two sets of three straps and a sling back strap which has some stretch to it. 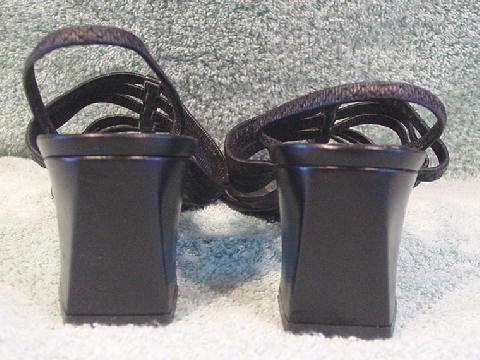 There are black leather insoles and soles, and they were made in Spain. The heels have leather wrapped all the way around them.